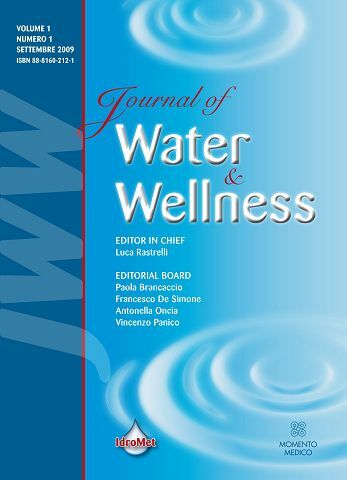 Journal of Water and Wellness publishes original research papers, comprehensive reviews and comment articles in all the multidisciplinary subfields of the water sciences and wellness. Water quality standards and the analysis, monitoring and assessment of water quality by chemical, physical and biological methods. Water management, water quantity and quality. Mineral water, drinking water and health, mineral drink, functional drink for athletes. Mineral water and its therapeutic utilization: rheumatology, dermatology, respiratory and ENT, metabolisms, obesity, vascular diseases, gynaecology, traumatology. Thermalism and health benefit: Spa therapy, balneotherapy, hydroterapy, mud therapy and exercise therapy.